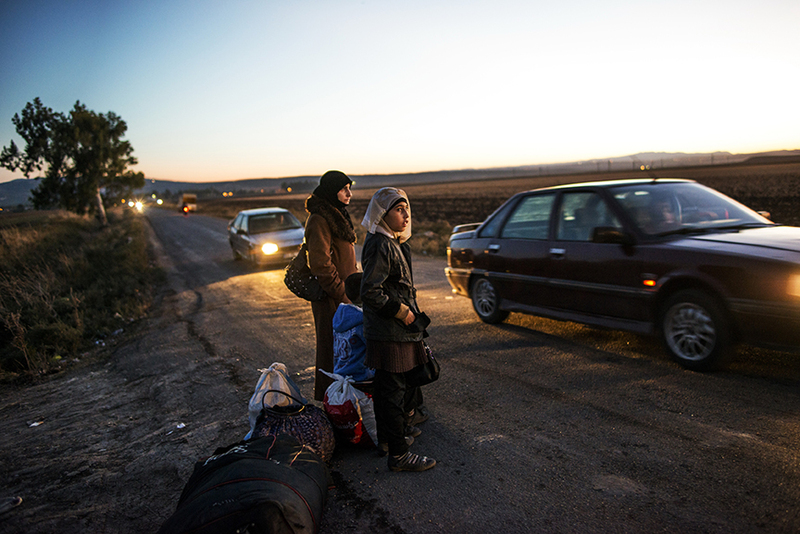 Syrian refugees cross into Turkey after the Muslim Holiday of Eid al-Adha through unofficial border crossings in villages around Reyhanli and Hacipasa in Turkey, October 20, 2013. Many Syrian refugees cross back and forth from Syria into bordering countries to work as laborers and visit family across borders. Syrian refugees now total over 2,000,000 in countries neighboring Syria as the civil war rages for the third year.